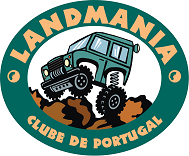 Welcome to the LandMania Club of Portugal (LCP) official page. The LCP is the biggest Portuguese club of Land Rover owners and enthusiasts. We organize several events all around the country and all year long. Among our events there is the Iberian Land Rover Gathering, in September where more than 1.000 Land Rover and 4.000 enthusiasts get together to enjoy lots os activities during the first or second week end of September. If you need any more informatio on the LCP or its activities, please get in touch with us through info@landmania.pt. We will be glad to entertain you in Portugal in one of our events.